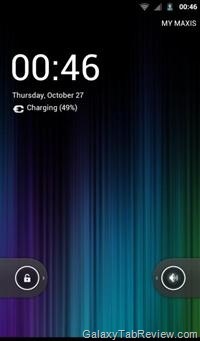 A user at xda devs (khalpowers) has rolled out Ice Cream Sandwich theme for the first generation Samsung Galaxy Tab. It has skins for Voice Dialer, Voice search, FM Radio, Google Quick Search, Google Talk, Video Player, Browser, My Files, Task Manager, Phone, Contacts, MMS, Clock, Email, Camera, 3D gallery and calculator. The designer has also borrowed boot animations from the new Nexus S.
Download it from here (multiupload). Here is how to install it.